Just 25 miles southwest of Chicago, the village of Orland Park, IL is an affluent Chicago suburb located in Cook County. The area is home to nearly 60,000 residents, which comes as no surprise, given its close proximity to downtown Chicago. Allowing residents easy access to the city via the Metra, PACE bus system, and several interstates, while still offering a sense of community, Orland Park is popular among commuters. Although it boasts a large population, Orland Park retains a small town feel with a variety of seasonal community events, including: the Easter Egg Hunt, Independence Day Celebration, Taste of Orland Park, Mayor’s Cup Golf Outing, Pandemonium in the Park, and Turkey Trot. The area is also home to over 60 parks, a variety of nature trails, a 192-acre aquatic center (The Centennial Park Aquatic Center), and a 95-acre lake, proving residents with plenty of outdoor fun to enjoy all year long. 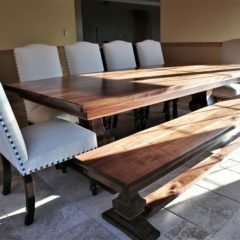 Rustic Elements Furniture is a local custom furniture shop that specializes in handcrafted wood furniture. While we build a variety of custom furniture, including: benches, media centers, hutches & buffets, bookshelves, and island tops, custom wood tables are our specialty. At Rustic Elements, we pride ourselves on building handcrafted wood tables that are extremely durable. We use a commercial grade finish that is very tough, making our tables resistant to scratches and dents. 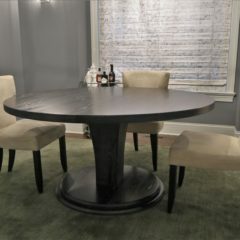 Our tables can also stand up to common household spills and won’t be affected by bleach, wine, nail polish, or cleaning products. While our showroom is located in Joliet, we build custom furniture for customers throughout the Chicago suburbs, including Orland Park. 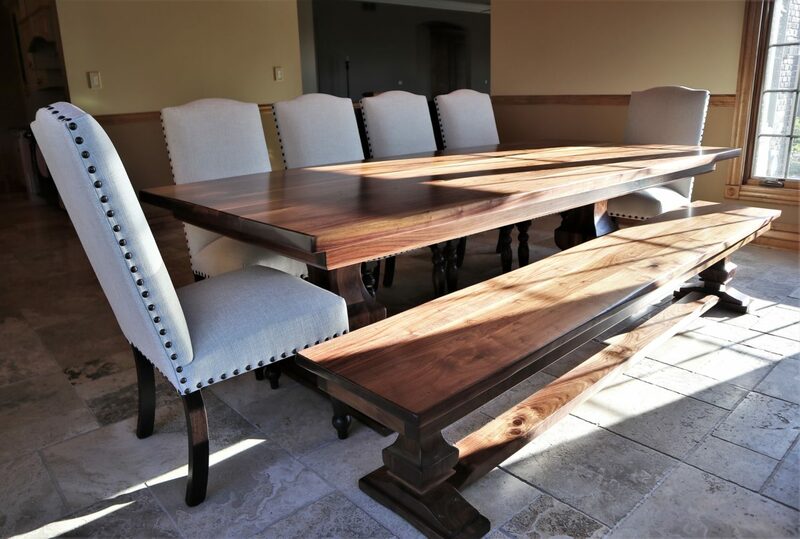 We have experience building custom furniture for Orland Park residents, and enjoy collaborating with our clients to design custom tables that bring their vision to life! 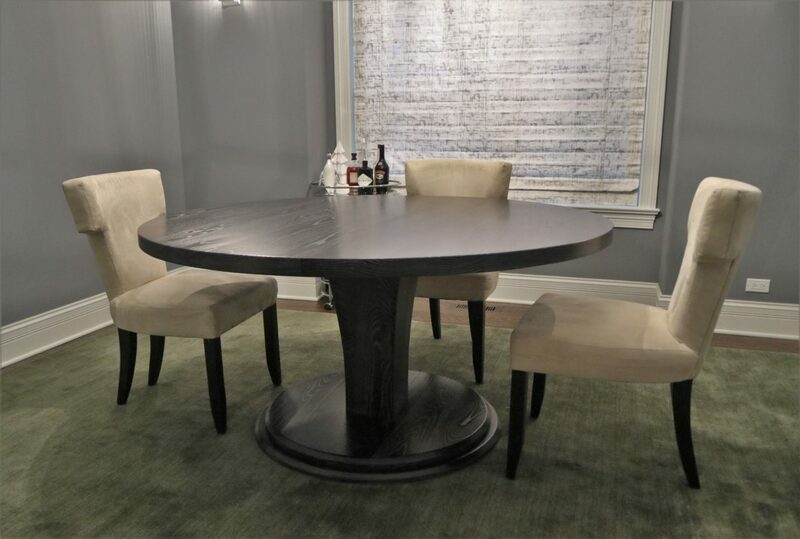 When you build a table with us, you make all the important decisions, from type of wood and level of distress to size, color, and style. 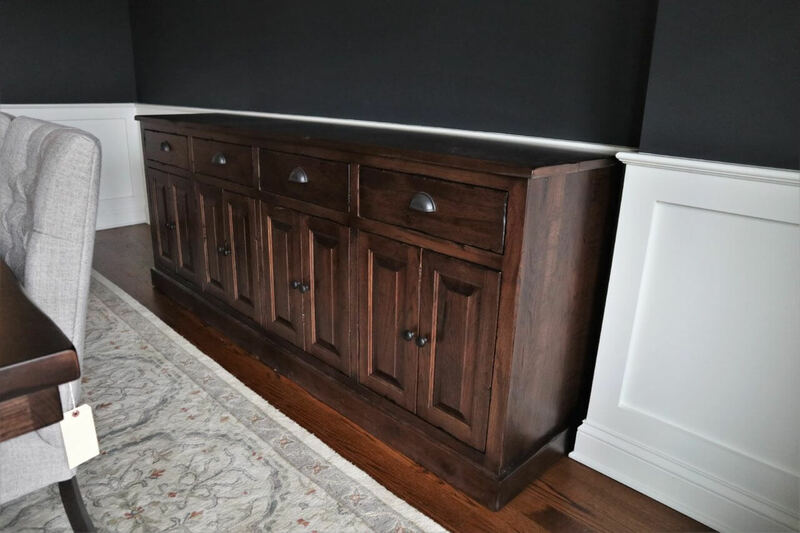 If you don’t have time to wait for a custom piece of furniture to be built, feel free to browse our current inventory of readymade furniture available for immediate purchase. 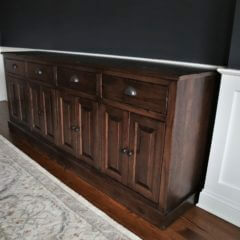 Contact Rustic Elements Furniture today to start designing your custom furniture!